Lardo is prized today for its rich, sweet and savoury flavour and creamy texture, but it wasn’t always that way. We headed to Colonnata – the home of lardo – to see exactly how this tasty salumi is made and to find out more about its intriguing history. 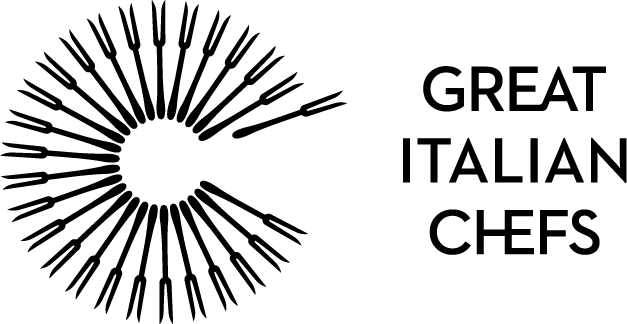 The drive from Genoa to Florence is one of Italy’s most picturesque routes, slinking along the Tyrrhenian coast before darting inland into Tuscany’s historic centre. 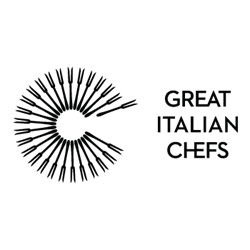 But if you’re in Italy to sample the country’s gastronomic delights, allow us to recommend a detour. 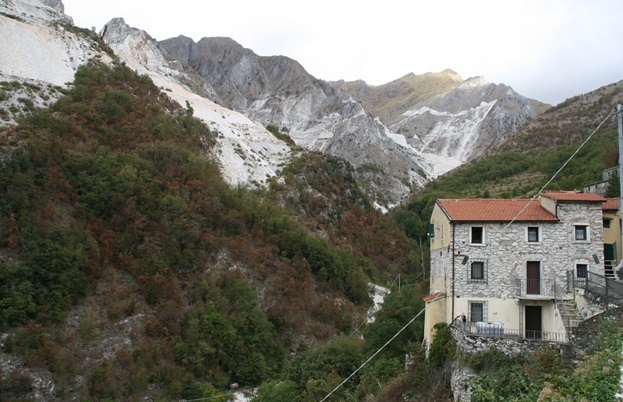 Head north-east when you reach Carrara, wind your way up into the Apuan Alps and you’ll find the tiny village of Colonnata. On the surface, this sleepy hamlet might seem unremarkable – another beautiful village in a region that’s famous for its rustic charm – but there’s lots more to Colonnata than meets the eye. This part of Tuscany is famously rich with marble, and Colonnata was first settled by the Romans, who started mining here instead of using costly Pentelic marble from Greece. Centuries later, the Italian renaissance was built on marble from Colonnata, and many of the sculptures and buildings you see in nearby Florence, Siena and Pisa probably started life here. ‘They say Michelangelo came to Colonnata to choose the marble for his sculptures personally,’ says Fabrizio Cattani, our guide for the day. 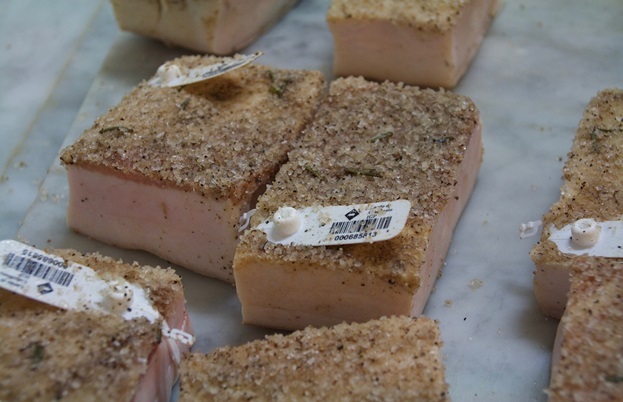 Fabrizio’s connection to Colonnata is a strong one; he was born here, and now owns a company called Mafalda that produces Colonnata’s other famous export – lardo. Lardo is, in essence, cured pork fat. 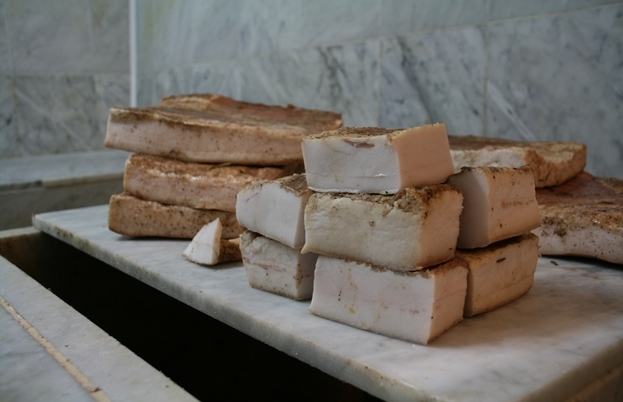 The lard is taken specifically from the back of the pig and cured in a marble basin with a mixture of salt, pepper, rosemary and garlic. It’s a delicious thing that we’ve only recently come to appreciate, but Italians have been eating it for centuries. ‘No one really knows for sure the origin of lardo,’ Fabrizio explains, ‘but it could go back as far as the Roman period, when the miners needed a way to preserve pork. 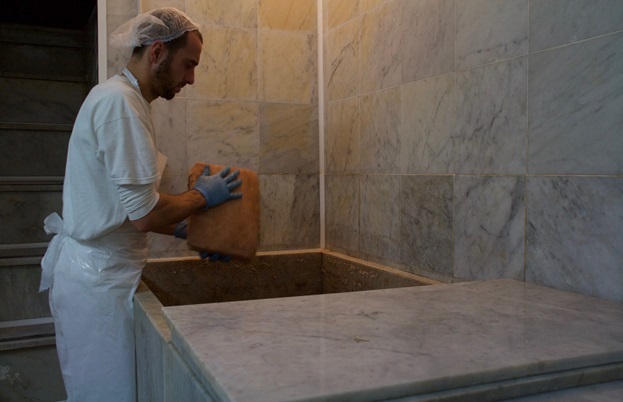 In the country there are marble basins from as early as the seventeenth century, and on the facade of some buildings in Colonnata there are visible artworks that depict the ancient curing techniques from around the nineteenth century.’ Regardless of lardo’s origins, it is clearly woven into the fabric of this place. 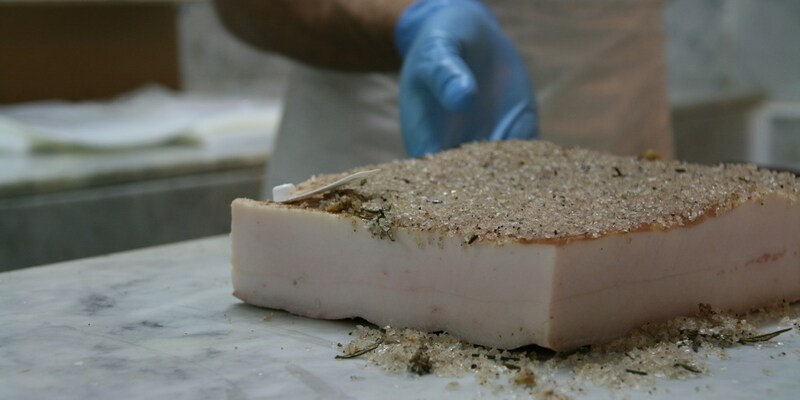 The curing techniques have been handed down from generation to generation to make sure that Lardo di Colonnata is the same today as it always has been, and as a result, the salumi has IGP-protected status. If you’re in the area, keep an eye out for sgabei – a doughnut of sorts, made from fried leavened bread dough, and sometimes stuffed with slices of lardo. ‘The nonna says another common dish is fried or poached egg with slices of lardo and shaved black truffle,’ grins Fabrizio. It seems lardo goes happily with anything, from balsamic vinegar to pizza – the key is to keep it simple. The only trouble now is deciding how to eat it.